Question: I was thinking if I should ask this question. A confession goes along with it. I started Krsna consciousness twenty-one years ago and in spite of all my deficiencies, devotees have been very nice to me. After many years, finally I think that I am getting some taste and for hearing and chanting also. But, I feel that I have hit a wall or a ceiling. Upon analysing, I have discovered that I still have doubts which are preventing me form getting the real nectar in Krsna consciousness. Upon further analysis, to my horror, I have discovered that apparently I am not so happy with the idea that Krsna is controlling everything in my life. Even though I have begun to enjoy very much the association of devotees and the whole process of Krsna consciousness, I am constantly, no matter how hard I try, I am hitting this wall which prevents me from going further. I would very much like to know why this is so. So Maharaj, please tell me, what is wrong? We have to gradually come to this point when we say, “All right, all Your property!” We have to let go of the tendency to control our own destiny, to really say, “Okay Krsna, whatever You want!” Because, whether we have that mood or not, it is anyway going to be like that. Krsna will do what he wants. So, we are all struggling like that. Yesterday, I used the analogy of Krsna being in the inner-chamber in our heart. We can think of our heart as a palace with many rooms. Slowly, we open more rooms and we have to turn all these rooms into temples. 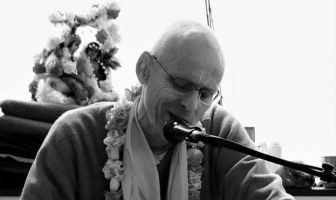 But as long as we have any ideas of wanting material things, that means that we still lock out some rooms from Krsna – that is where our obstacles are. Everyone has some barriers otherwise we will all be ecstatic prema bhaktas, rolling on the ground in ecstasy. So, we may be struggling with these limits, we may bump into the walls that you described but, if step-by-step, we try to surrender more, if we try to accept whatever Krsna wants, still in subtle ways we may have some personal agenda but we minimize it more and more. If we want to break out of a stagnated situation then we must make a commitment that is greater than where we are now. 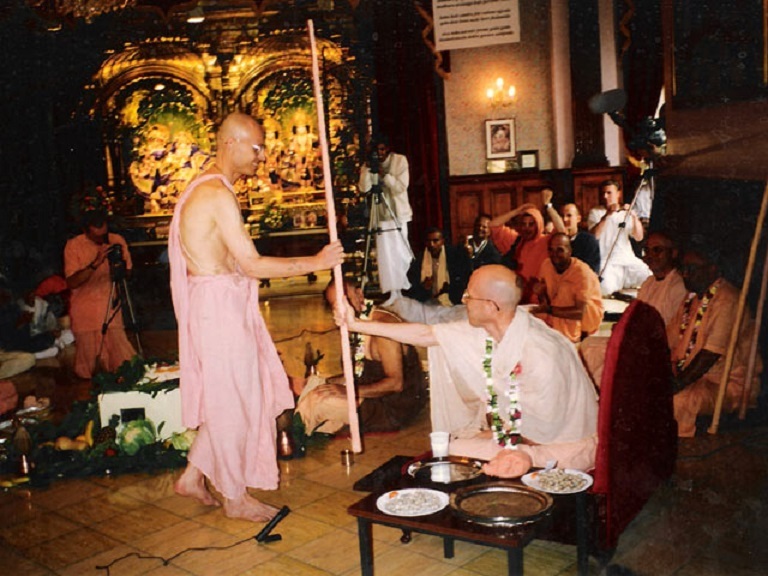 It does not have to be sannyasa but the commitment in service to Krsna must increase. 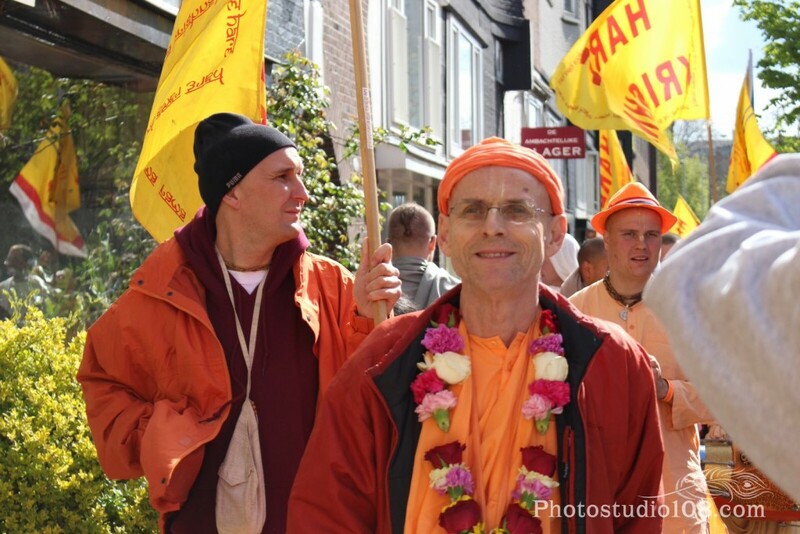 That commitment in service to Krsna will force us to also make a greater internal commitment. And if again we find a wall then again, we must make a fresh commitment which is even greater which will force us to grow internally. It is in this way that we increase our surrender to Krsna and not so much by mental or intellectual adjustment. We cannot do it that way, we are just not strong enough but if we make a commitment, that will force us. If we take responsibility, responsibility will force us. So, when there is stagnation, make more commitment in the service of Krsna. It can be in different directions – it can be in sadhana, in practical service; it can be in ashram; it depends on our individual situation. Then in the end, if at the end of our life, if there are still such walls and we still have not fully become perfect then there is this hope, it is called asa bandha, it is translated as “hope against hope”! So that is my meditation, that is why I took sannyasa. It is a risky business. Still, I hope that Lord Caitanya, at the end of my life, will say, “Well, he tried!” Everyone else will say, “He did not do very well. It was not very impressive. 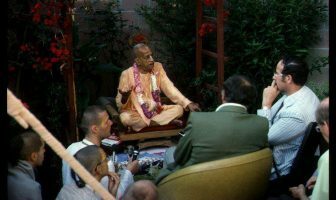 Maybe it will be better for him to do it one more time.” But someone will also say, “This is one of Prabhupada’s men.” So I also want to be a Prabhupada man. Prabhupada has prayed to Krsna that we can go back to Godhead. 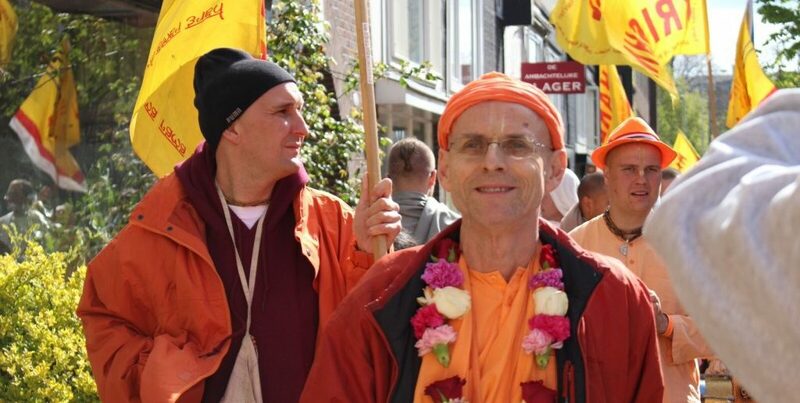 So I try to serve Prabhupada, I hope that he will also help. Do you know that story about the horse race? The horse race is getting ready to start. Ladies and gentlemen, all the horses are lined up! Start sign and they are all are running. And it is material desire that takes the lead! Envy and greed are close behind. And they are storming down the tracks, storming down the tracks… and it really looks like material desire is going to win the race. Number one, material desire, is in the lead… in the lead! But then… look, look, look! 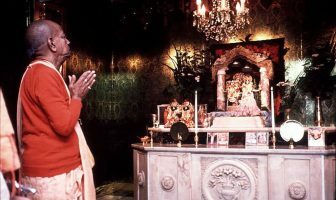 From behind, from the left field, there it is – Prabhupada’s mercy, Prabhupada’s mercy coming down the side! And yes, yes, yes! Prabhupada’s mercy is moving on. 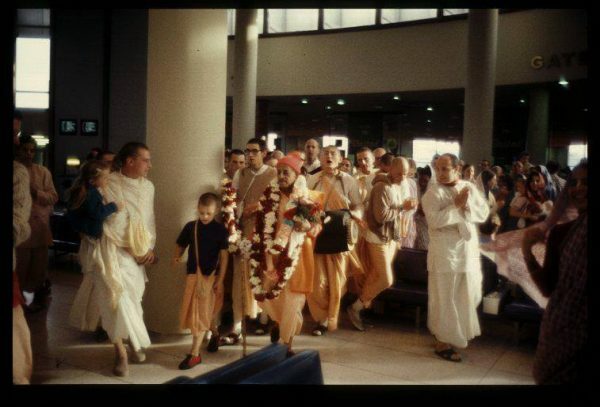 Prabhupada’s mercy is, I tell you ladies and gentlemen, Prabhupada’s mercy is going to finish the race!!! Somehow or other, hang in there!